Hello there. So this is the update on my plum tree I collected earlier this year. Atleast I still think its a plum. Starting with an old pictures that shows how it looked earlier. Its a crappy picture, but its the only one I have here from after I cut the big branch, and before it started to grow. Thats what I saw as the front earlier. Still have that big scar in the middle of the eye, but I could ofc make a different front, or hollow the spot out. As you can see, the tree has grown a bit in just a short time. It started only a few weeks ago. Im trying to be carefull with it. 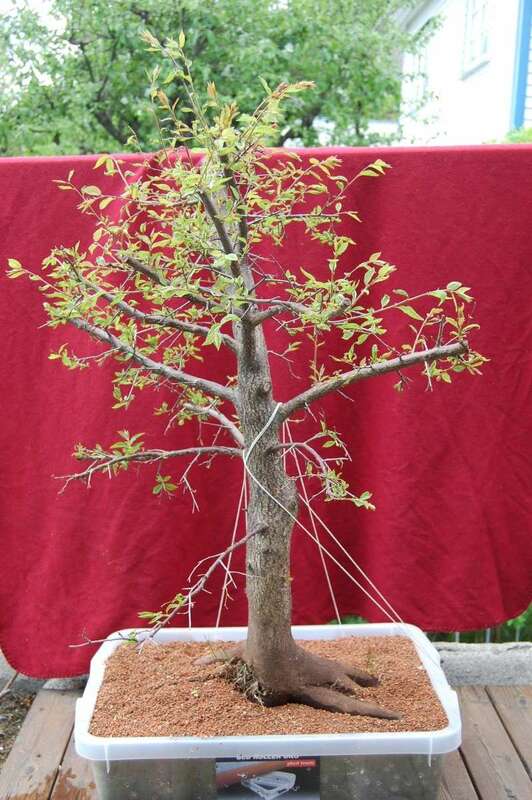 So, what Im thinking about now is to cut the trunk, about 20 cm lower, so I dont have that tall piece sticking up and to the side, and build an apex with the other branches on the top. 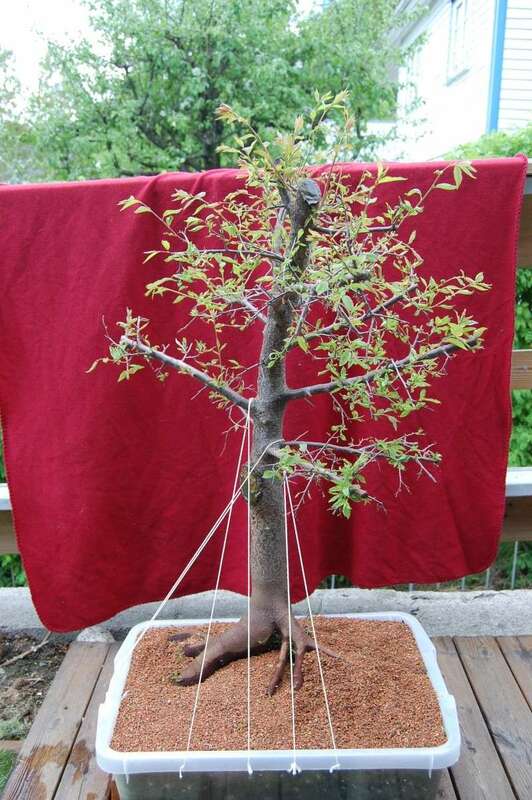 Also, I have a large branch over to one side almost at the top that I would like to have more over to the side so the branching would be more even. (Hard to just explain without drawing). And, is it too early still to do some wiring? 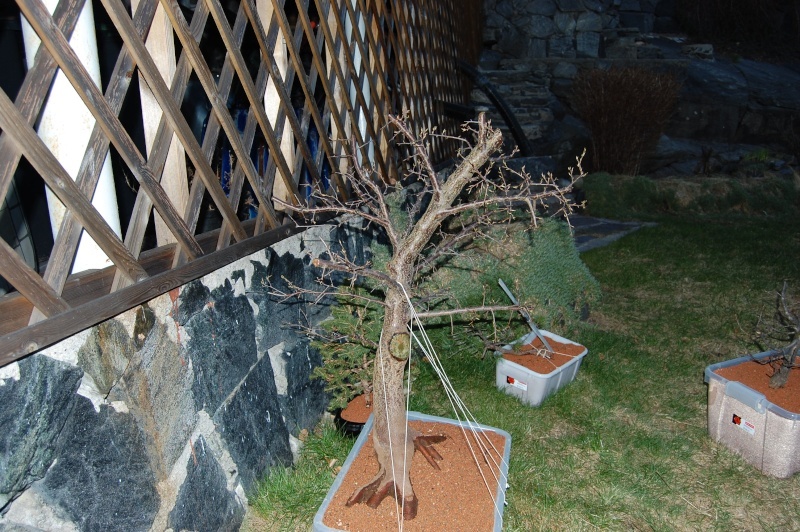 I know that most people would like to wait so the tree can grow this year, but I think it looks strong, and doesnt want the struggle with bending hard branches later on. Its also easier to see what to keep and what to cut. Another thing is, I think the tree has grown quite a bit, but the leaves arent done "unpacking", and this type of trees should produce flowers.. ? Is it normal that trees use a very long time to produce this the first year? Oh, yeah. I took a picture of the plastic box it's in. Ive drilled holes at the sides and the whole way so it gets enough air and drainage. As you can see, its green almost the whole way. This is just below the edge of the box. 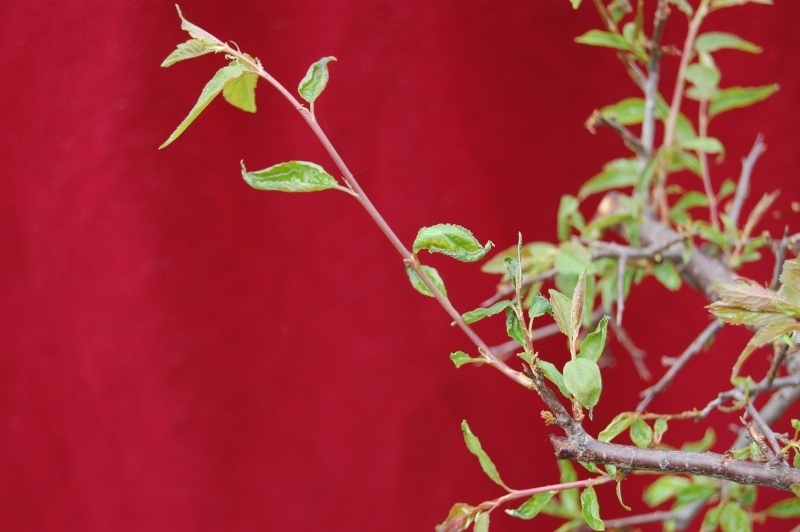 Re: Update on my plum tree. Looks like a Blackthorn to me. The reason your soil is going green is the type of container your using. 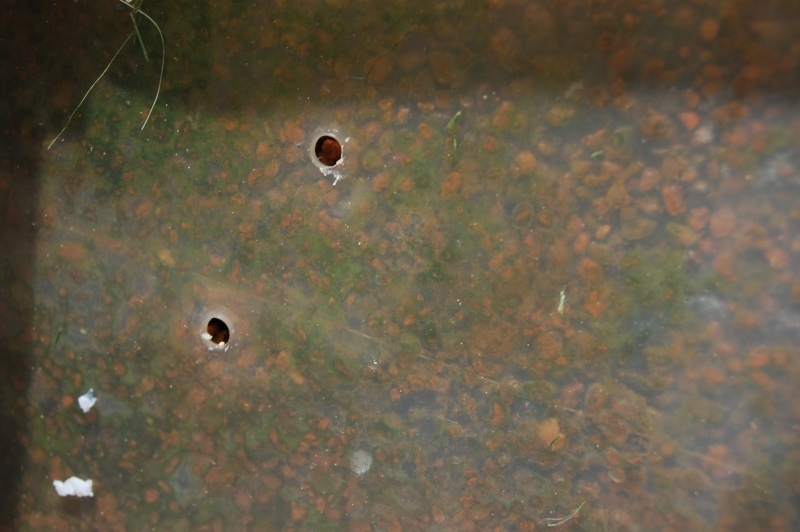 Light is getting through the box and algae is forming on the damp cat litter. I don't think this is a problem though. This type of container is not meant for outdoors and you may find the plastic goes brittle in sunlight, so be careful when moving it. 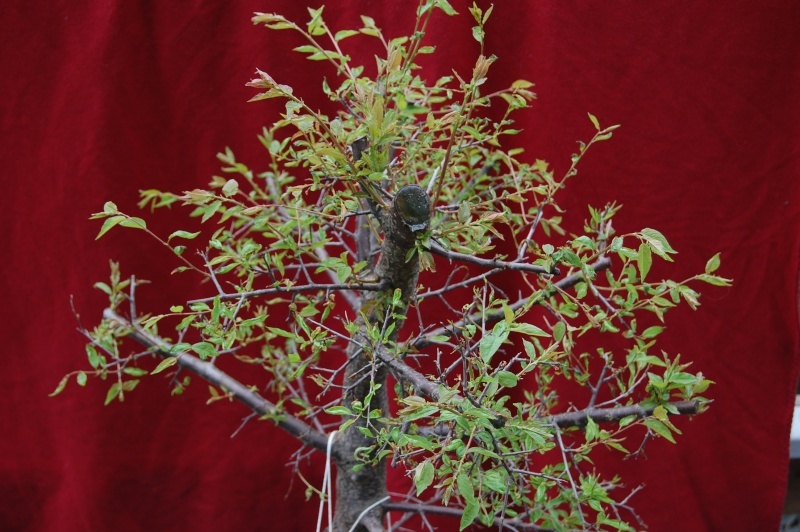 Blackthorn produces flower buds, the previous year. They will flower before they leaf up, so you won't get any flowers this year..It's difficult to tell how much you intend to shorten this tree by? Can you put a mark on with photoshop? Thanks for the reply! Much appriciated! It could very well be a blackthorn. Im not good at identifying trees. Here is a very bad picture I made with paint! Number 3 is the big branch I was thinking to move towards the left, so I can get even branching when looking from the top. It would fill a huge gap that is lokated there. And last, Ive just made a circle of what I was possibly thinking of the shape of the leaves on the tree. Although, when looking at it, it wouldnt look like a very old tree, since the trunk is too thin compared to the size of the branch spread. 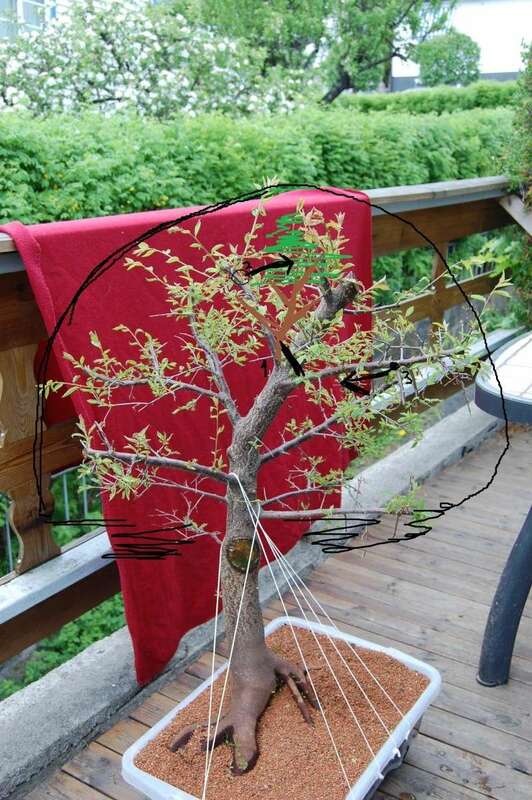 I was also considering chopping the branch lower,since its so thick, but I have gotten away from that idea again, since I would lose so many other branches. Would you have hollowed the place where I cut the old big branch? Or go for letting it heal over? As it is it would make a huge lump there. One more thing, alot of leaves all over the tree is dying. The tips turn crispy and black. Could it be over watering? Its been raining a bit here the last days. And when its sunny, I water it twice a day, while pouring water over the leaves so they get wet and not sun burned. There are a bunch of healthy leaves too.